Find the order and degree of the following recurrence relation. 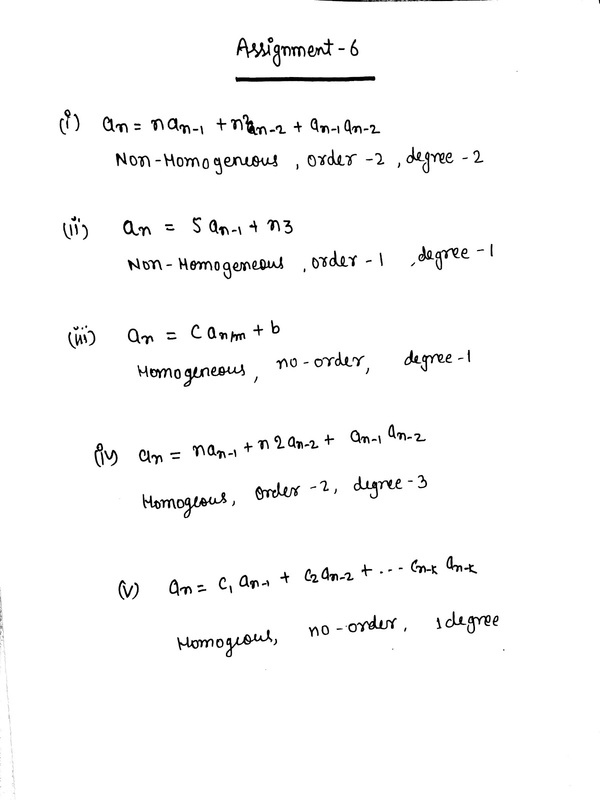 Also, determine whether they are homogeneous or non-homogeneous. Constant coefficient and non constant coefficient.